Lets get to it from the jump, the issue is very well written and picks up right after issue #0. Each character has his or her own voice that you stands out which is to be expected when there’s this much in the balance. This Issue starts with a young alien boy on a farm looking outside at the sky as he turns to call his father, a yellow flash brightens the sky and the boy and his father including everything else is completely wiped out in a fiery blaze, next scene Gliese 851 c that yellow flash which you can clearly tell is the Phoenix Force blasts its way into space leaving the planet and inhabitants scorched. Next we see the Avengers at a Avengers Tower in New york City, they are gathering to what looks like a meeting, when all of sudden a comet-like meteor races across the sky, hits a plane and building before landing in the middle of the street. The Avengers move to save the all the people involved in the crash then make way to the crash site where a badly injured Nova is on the verge of passing out, he has a message that they only barely catch and it’s not good. Meanwhile, in San Francisco on Utopia Island home of the X-men, Cyclops is having a very serious training session with Hope to point where she manifests the very thing which is starting this drama. She sends Cyclops flying back, stunned by what she has done Hope ask’s him if he had seen what she just did and everyone is just speechless. 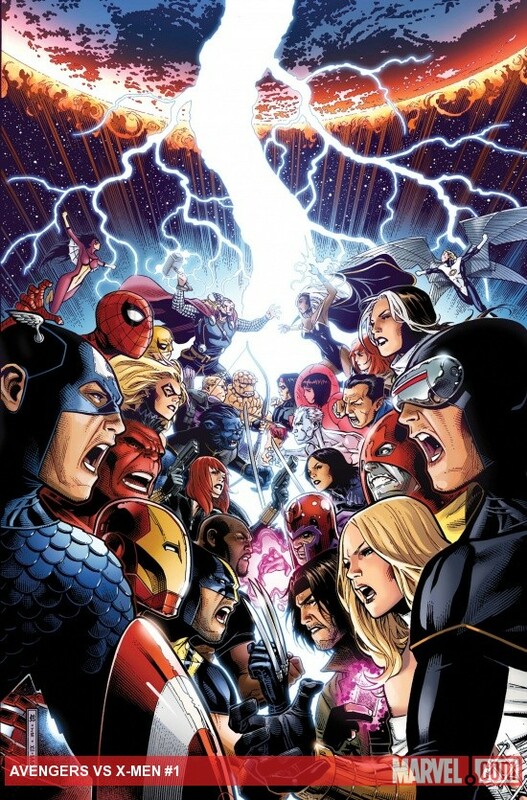 Swap back to the Avengers and Iron man and Captain America are at a meeting with the president where they show him recon footage of the Phoenix Force travel fast towards earth, Cap mentions that he has a team on its way to intercept it before it hits earth but that plan is quickly interrupted with news they were hoping to avoid. Spurred to react, Captain America visits the Jean Grey School for higher learning, there he talks with Wolverine about the situation and if he can convince Cyclops and the X-Men help them stop it. Back on Utopia, Magneto, Emma Frost,Colossus and Namor confront Cyclops about his attitude and the way he is pushing Hope, he explains to them that the Phoenix force can be the rebirth of something big for Mutants. The conversation ends when Emma senses Captain America and Cyclops confronts him at the Islands coast. 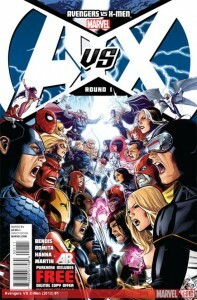 Cap ask’s if the X-Men will help the avengers stop the Phoenix Force from taking Hope as its host. Angry that Cap views the Phoenix Force as a threat rather than a rebirth for humankind, things turn south when Cyclops tells Cap to get off his Island and blasts him to which Cap calls for the Avengers to assemble.